While using Silverstack together with LiveGrade on set to manage clip data and looks hand in hand, you surely want to combine the created information afterwards. Silverstack offers a solution to avoid assigning looks to clips manually. You can connect them based on the metadata you already created while generating them. It is possible to automatically match a package of looks created with LiveGrade Pro to the according clips in Silverstack. 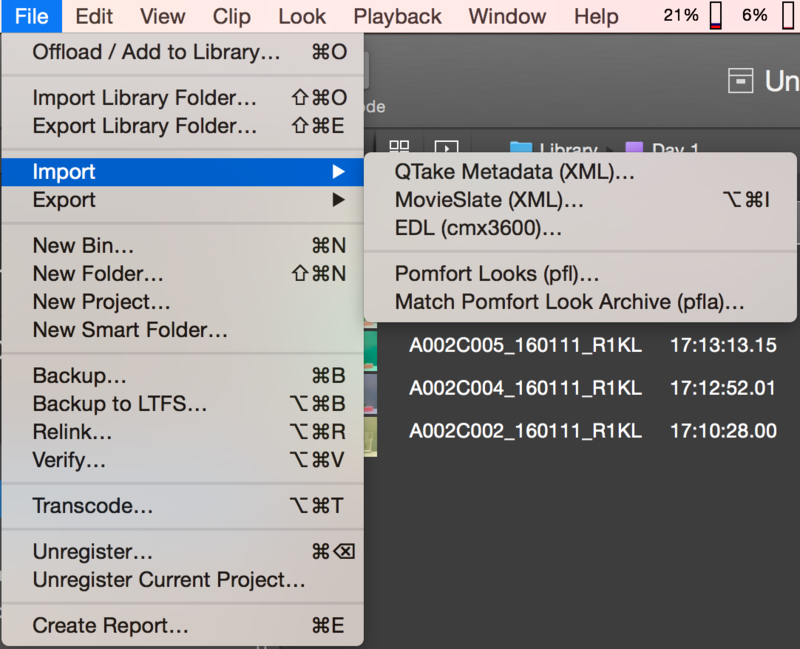 A Look Archive (.pfla) containing several different looks can be exported from LiveGrade Pro. 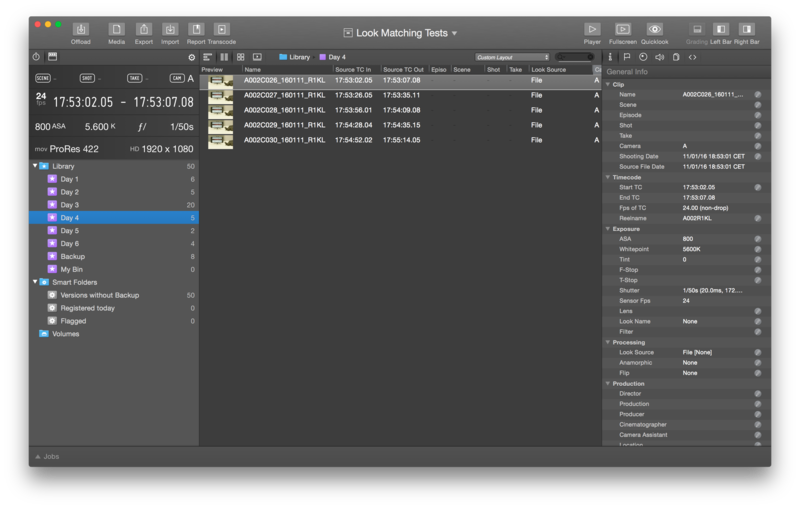 This Look Archive can be imported into Silverstack to then match the looks to the according clips based on different metadata. Make sure you ingested all the clips that will get a look into one bin in Silverstack. Learn about offloading media from the article Parallel Offloading. Make sure to have the according bin selected prior to starting the import. Navigate to the .pfla file you saved from LiveGrade Pro, select it and click “Open”. This criterion will match the looks by timecode. The look will match to a clip if its TC In is before or within the range of the TC of the clip. Additionally the looks will be applied to all clips that follow until the next look with a subsequent TC In. If a new look has a TC In that is inside of the TC range of a clip (so the look before ends within the clip) the matching wizard will suggest two looks but preselects the latter by default. Figure 6: Adapt the timezone offset if needed. 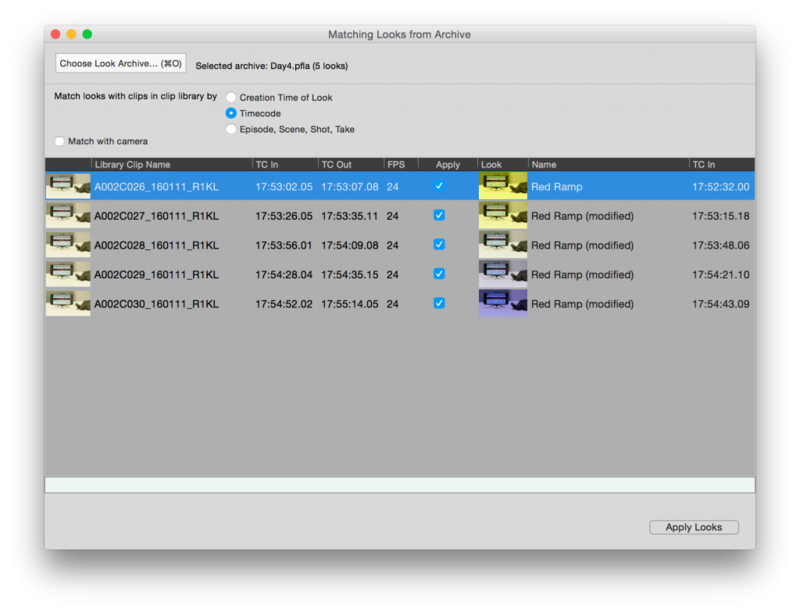 This criterion will match the looks by the episode, scene, shot and take metadata values. 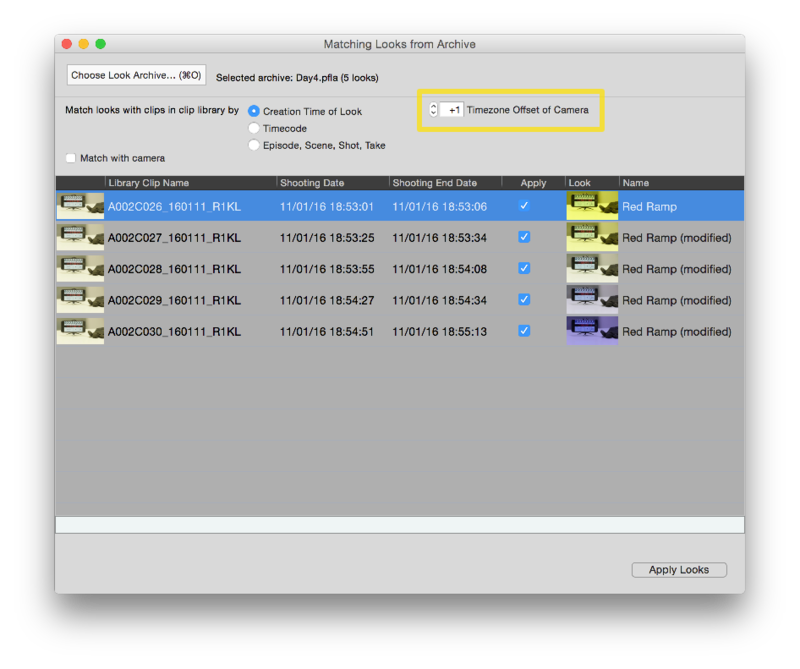 The look will match to a clip if the metadata for episode, scene, shot or take is equal. 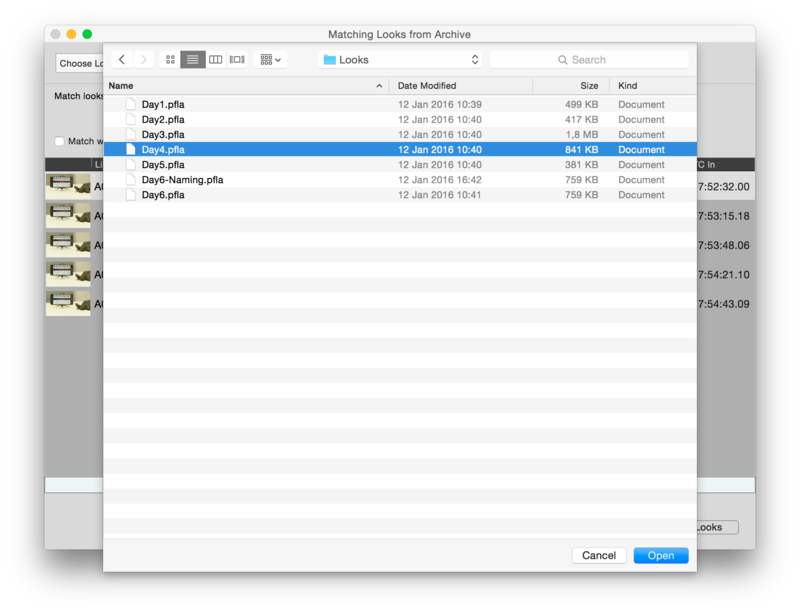 Additionally to the selection of your criterion among the three criteria you can choose if the looks should be matched to the clips by the camera metadata value. If you have Camera A and B and match looks by timecode the looks may apply to both of the cameras if they have the same TC. If you then enable the checkbox “Match with camera” the camera value will be considered on top of the TC and will then match the correct looks to the camera specific clips. To learn how to simply transfer looks from LiveGrade to Silverstack please refer to this article Transferring Looks from LiveGrade Pro to Silverstack.